The next stop South from Stourbridge Junction on the former Oxfored, Worcester & Wolverhampton Railway line is Hagley Station. According to the 'Station Gazeteer 1900-1972' there is some debate as to when this station opened - however, it first appeared in timetables in 1862. 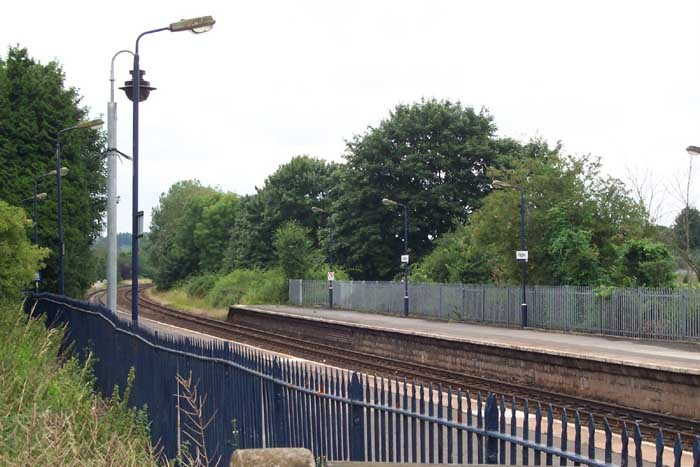 The name of the station, for those of you wishing to visit, is somewhat misleading as it lies in an area signposted as West Hagley, some distance from the centre of Hagley village proper. 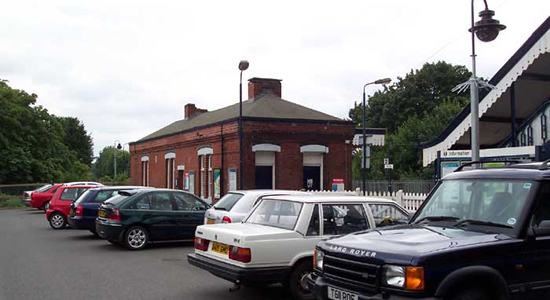 The station entrance from the car park off Station Road can be seen above July 2003. Above-left we see the entrance to the station from Station Road overbridge: the road entrance to the station is back along the road to the left of the picture via a slip road. 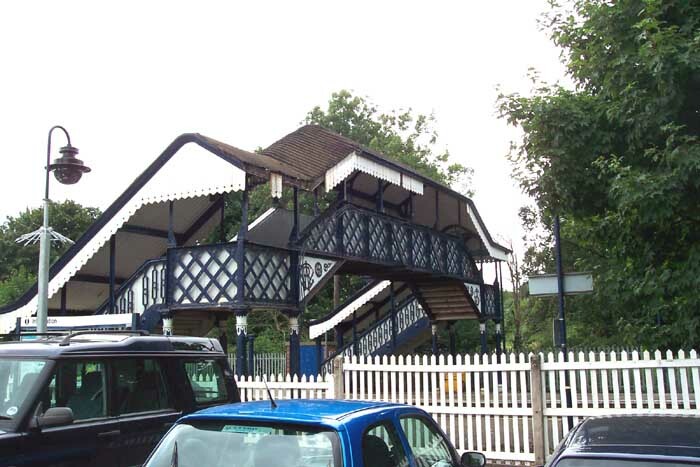 Above-right is the particularly ornate station footbridge. Ornate wrought-iron work on the footbridge actually forms the GWR logo and it is an achievement that the footbridge has remained in the pristine condition it has for so many years..
Above-left is the view from the Station Road overbridge, with the station behind the photographer, looking towards Stourbridge with a three-car DMU approaching. 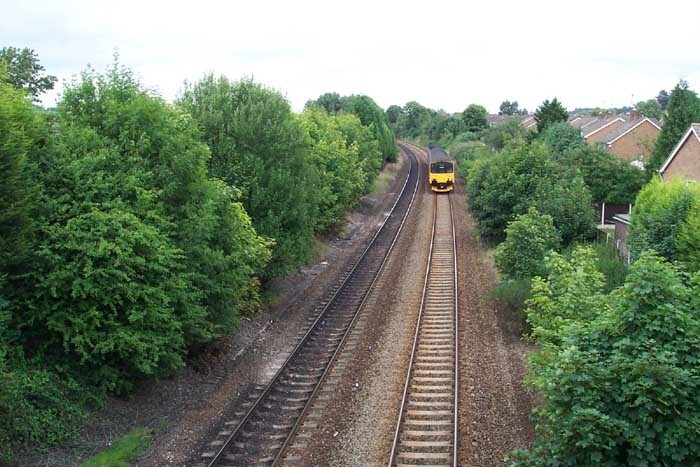 Above-right is the view towards Blakedown taken from the end of the station building as the twin track curves away into the distance.